The Oregon women’s basketball team is marching toward a Pac-12 title and a high NCAA tournament seed. Meanwhile, we’ll call what the men’s team is grinding through the learning year. 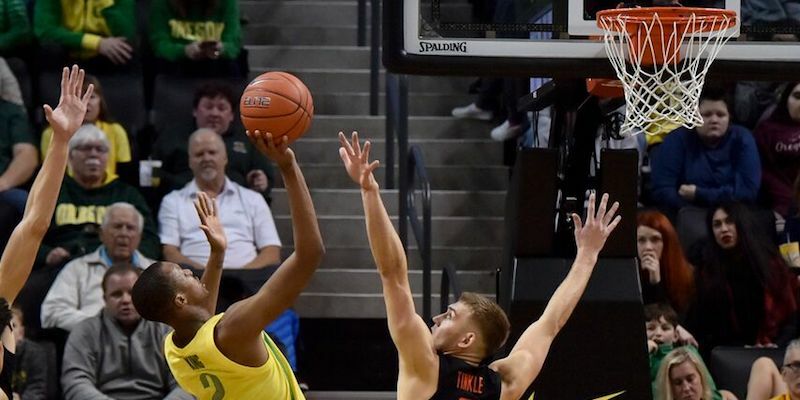 As if being riddled with injuries and lacking a number one scorer isn’t enough, Oregon’s lack of experience is now showing up as they fail to to close out late leads in game after game. 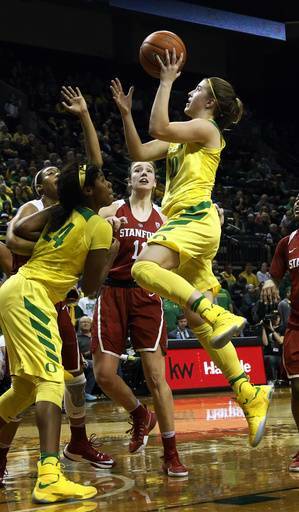 Sabrina Ionescu is leading the Ducks to a possible number one seed. Oregon’s women have their share of bumps and bruises, but are free of major injuries and are experiencing an explosion of success. All-world guard Sabrina Ionescu now has 15 triple-doubles in her career, more than any other player in the history of college basketball, women’s or men’s. Coach Kelly Graves has gotten terrific play from Ruthy Hebard, and Satou Sabally is an emerging All-American as well. The Lady Ducks are 15-1, fresh off a road sweep of the LA schools, and headed into the meat of the conference schedule as the two-seed in the latest ESPN Bracketology. With four other Pac-12 teams ranked in the top 25 (Stanford, OSU, Cal, ASU), Oregon has plenty of games left to build its resume and overtake someone for a number-one seed. On the men’s side, things don’t look great, although not all is lost after the big win at USC on Sunday night. 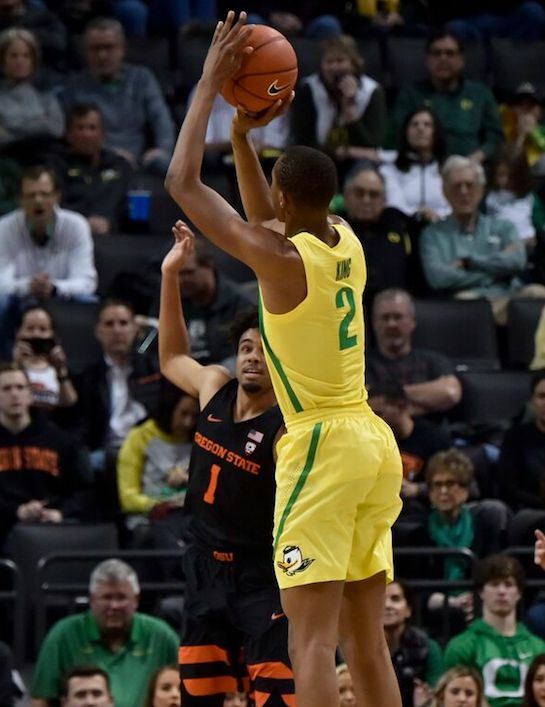 Still, the losses to Oregon State and UCLA showcased their struggles to get into their offensive game, their youth, and the lack of an offensive closer to finish teams off. The Ducks played great for the middle 20 minutes of each game; it’s the opening and the closing of each game where they struggled. Credit to Payton Pritchard for trying to provide the leadership and play-making they lack, but with Will Richardson now at the point, Pritchard is still learning to create without the ball in his hands. He’s been a point guard for fourteen years. “The guy.” though, has to be Louis King. He came alive against UCLA and backed it three nights later against USC. He is flat-out the best player on this team, and it’s not even close. Watch him now, because he might be gone to the NBA along with Bol Bol. King needs to emerge as Oregon’s biggest offensive threat if they’re going to start winning. With only eight scholarship players available, the Ducks still led UCLA by more than enough late in the game, and clearly should have won. It looks like they took the pain of that excruciating loss and took it out against USC. We can only hope they’ll continue. Watch the Oregon women. They have a legitimate shot at a national title. When you watch the Oregon men, see if they start with energy and if they run the offense through King. It’s going to be an interesting year at Matthew Knight Arena. Going into the weekend’s games, the Oregon women led the nation in field goal percentage at nearly 53%. Hebard led all players nationally, while shooting around 70% from the field. King went for 19 points, 8 rebounds, and 6 assists against the Trojans, after hitting for 22 and 10 boards against the Bruins. In just two games he’s established himself as the go-to player in Oregon’s offense. King just missed his third double-double in the USC win. No word on when Kenny Wooten might return; Oregon can use him. The Ducks might not be a threat to win the conference title, but they learned a lot about themselves this last weekend.